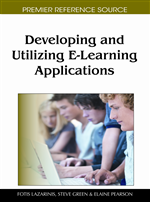 This chapter, by combining research-based results and theoretical principles, analyzes how it is possible to integrate teaching models and use of new technologies in an adult blended course, and to adapt training experiences to the target group, in order to offer a course that may prove personalized as much as possible. Basing on the results of an evaluative study, some improvement factors and best practices are discussed at the end of the chapter, as well as some identified weaknesses, with a view to learning environments that, making use of specific strategies, online tools, and educational contents, are capable to reach high levels of accessibility, adaptability and personalization in training paths specifically tailored on students’ actual training requirements. In the field of the latest studies dealing with the ever-increasing use of new technologies in teaching and learning processes, we can note a growing interest in combining specific technical aspects with pedagogical perspectives. In particular, those who plan training courses supported by new technologies seem to centre their efforts on an analysis of how educational contents, as well as their related tools and environments, should be designed to conform to the particular needs of each student.